Mountain Mods Pinnacle Replacement Front Panel can be used with any Mountain Mods Pinnacle Tower. Whether you want to change your existing setup, botched a mod job, or just want another option - the Pinnacle Replacement front panel is here for you. 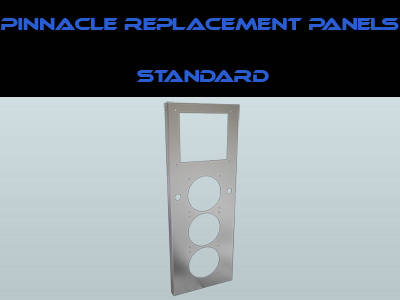 The Pinnacle Replacement panel is made from approximately 2mm thick high grade aluminum in the USA.